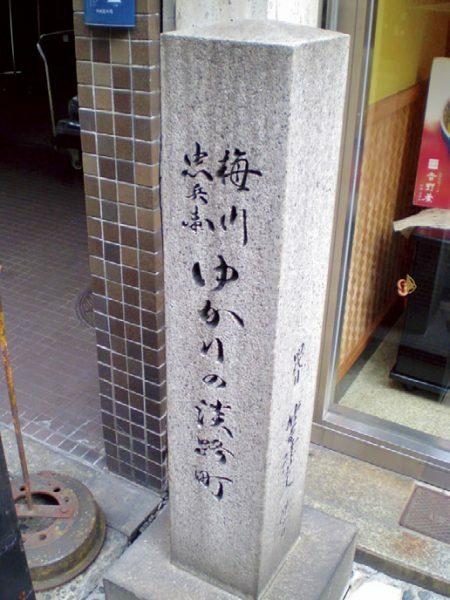 The Awajimachi town area is where Chubee and Umekawa, who appeared in the Joruri puppet theater play “Meido no Hikyaku” (or, The Courier from Hades) that was based on real events, worked. ●Subway: Midosuji Line: Yodoyabashi Station (M17) / Honmachi Station (M18). Chuo Line: Honmachi Station (C16). ●Other: Keihan Line: Yodoyabashi Station.